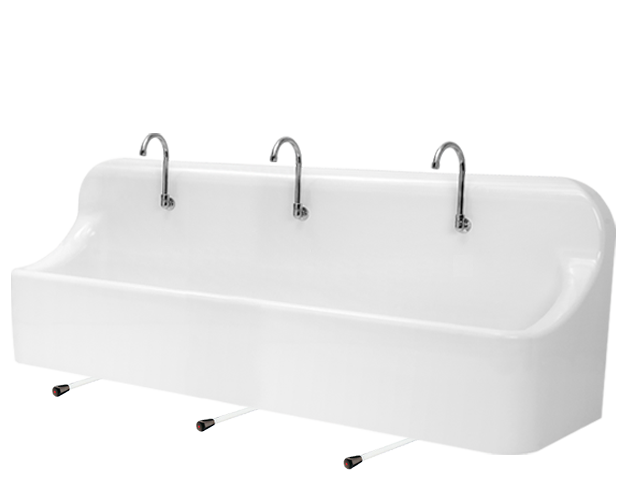 Our 2 meters wide surgical scrub sink MP’TRIO allows surgical hands and arms scrub for three user with a safe and sterile water. 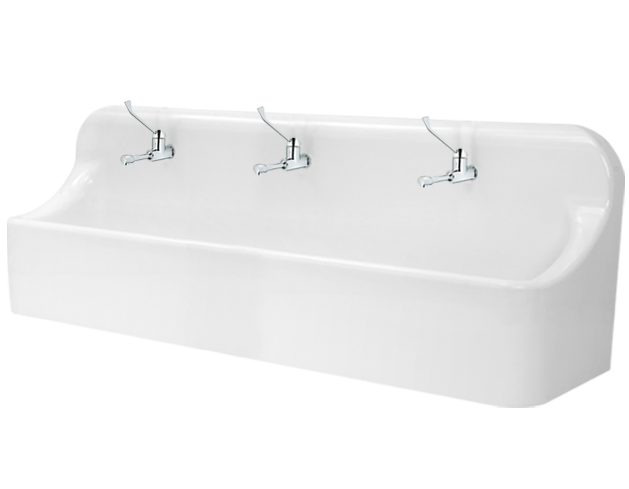 our scrub station offers an optimum comfort thanks to its especial ergonomic design and its wide and deep bowl. The enveloping shape offers splash protection and our specific material and coating offers the best protection against healthcare associated infections. Click the link here-after for more information Material specifications. The surgical scrub sink MP’TRIO is available with different types of water command and a large choice of water treatment and hygiene accessories in order to have the surgery hand-wash station you need for your OT. a sterile water level is highly recommended. 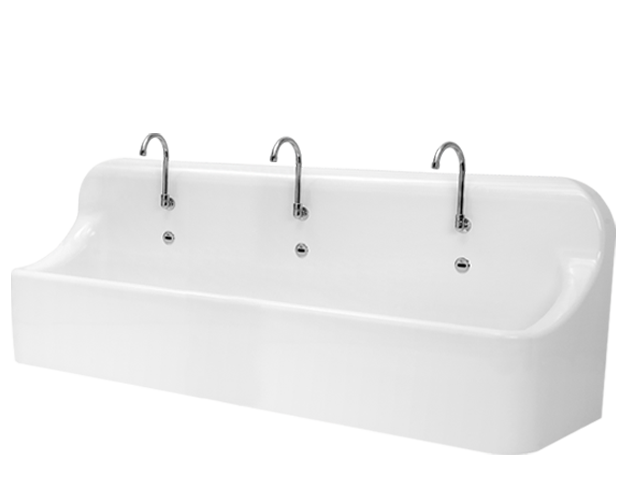 The surgical scrub sink MP’TRIO is available with four touchless types of water command. It also can be equipped with mechanical or automatic soap dispensers, paper dispensers, or nail brush dispensers. We also offer solutions for water treatment depending on the water quality. It can be enough to use only a terminal filter 0.2μ and a pre-filter 1 or 5μ, or UV kit, etc. Ask our team to give you the best advice for the configuration you need to secure the tap. Targeted services: OT corridors, surgery rooms, cosmetic and plastic surgery offices, emergency rooms, intensive care units, critical care, neonatal unit, box of emergency nursing. 1 Single water treatment kit for 3 taps, consumable reduction.